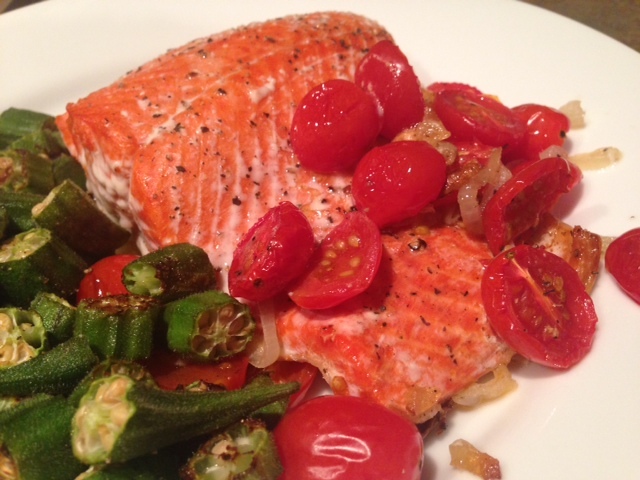 This recipe practically screams summertime. Flaky roasted fish? Check. 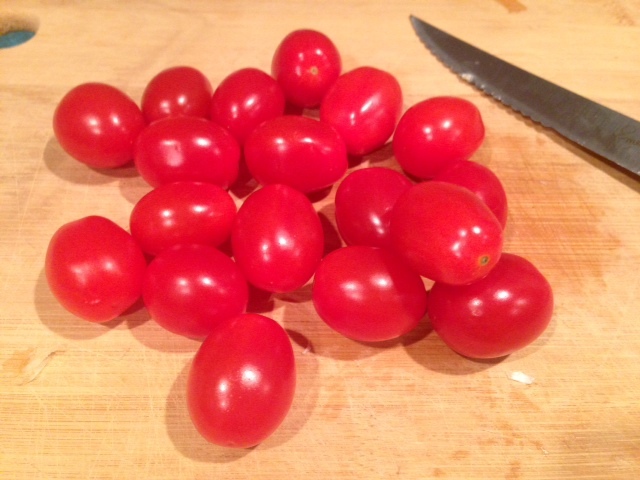 Juicy, wrinkly roasted tomatoes? Check. 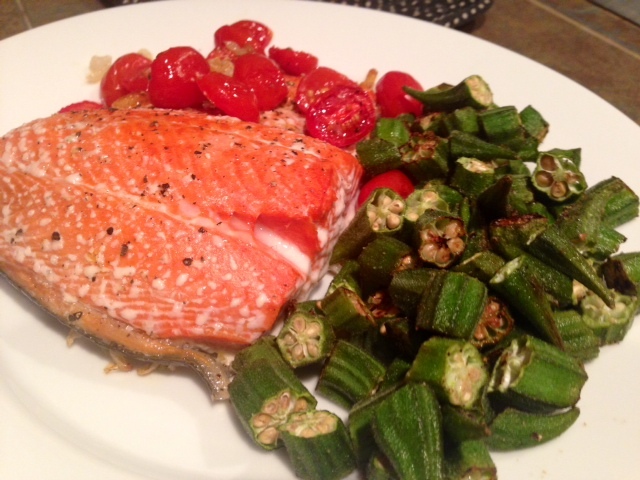 A side of roasted okra? Double check. I wanted to grill the salmon but my grill was malfunctioning, so I went for this instead. And, boy, was that the right choice! 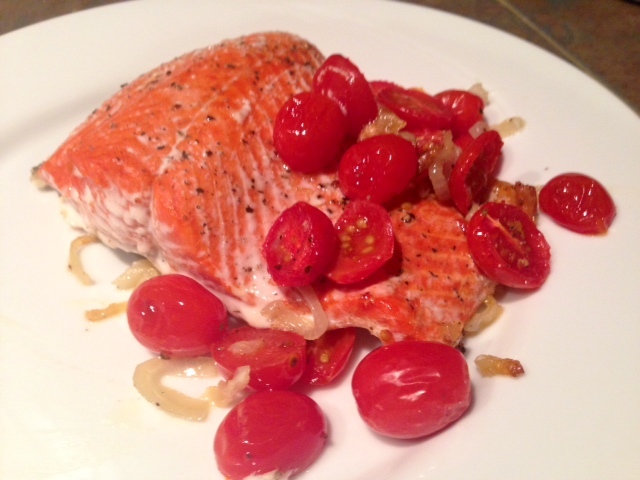 The shallots and garlic sink into the flavor of the salmon, and it’s all just so…simple. 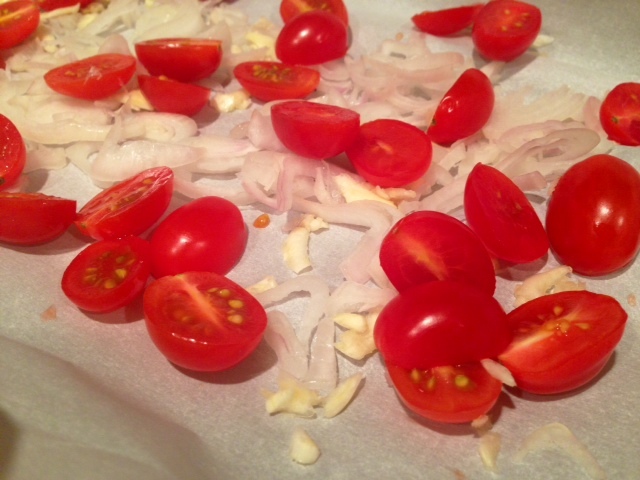 Mince or shave the shallots and garlic, and slice some of the grape tomatoes in half. 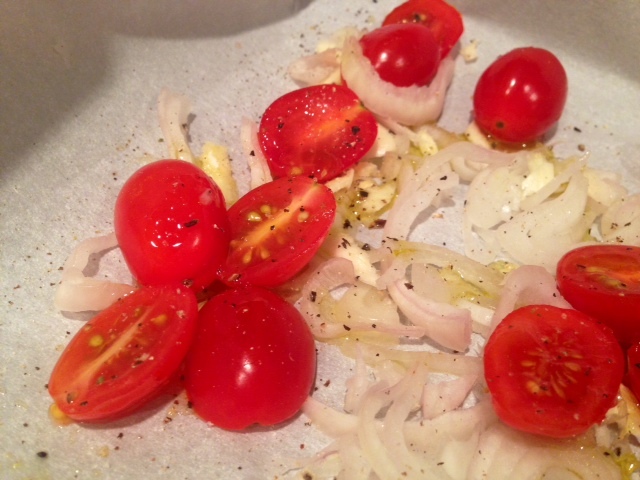 Line a baking dish with parchment paper and add the tomatoes, garlic, and shallots, and some fresh-snipped basil if you have it. 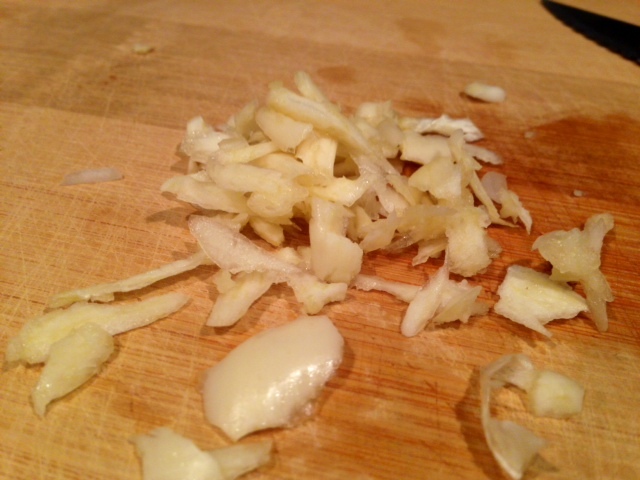 Then drizzle everything with olive oil, a little salt and pepper, and roast uncovered for 15 minutes. Remove the pan and place the salmon fillets in the pan, then sprinkle with some salt and pepper. 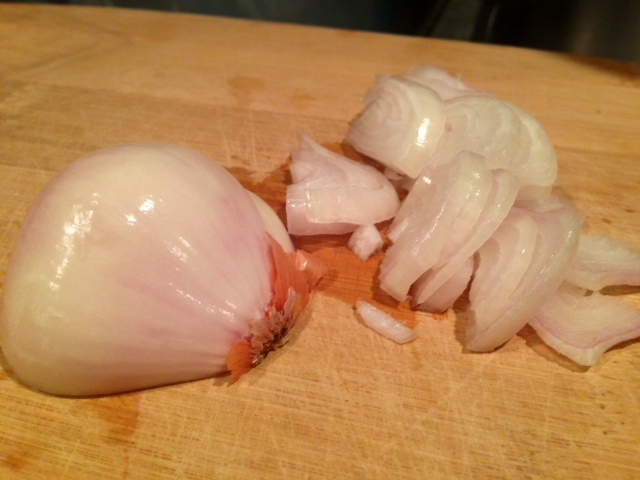 Cook for another 15-18 minutes. Serve hot, with delicious vegetables. 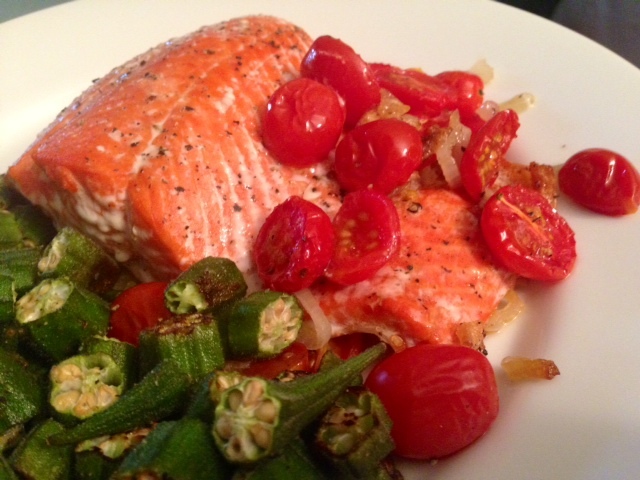 Not so great as leftovers (which is true of salmon in general). 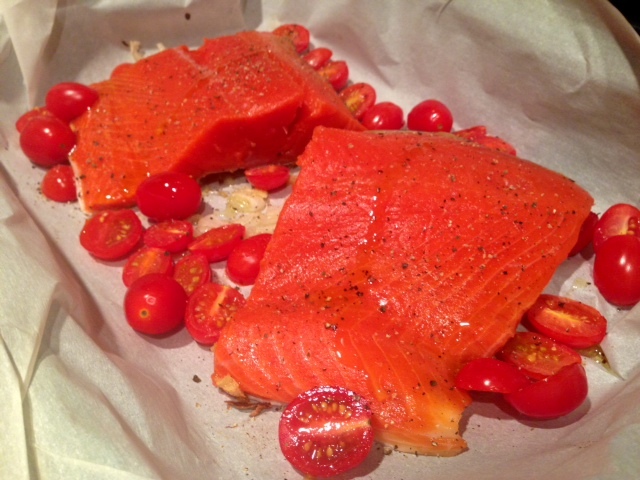 Place salmon, skin side down on tomato-shallot mixture. Sprinkle with a tiny bit of salt and pepper. 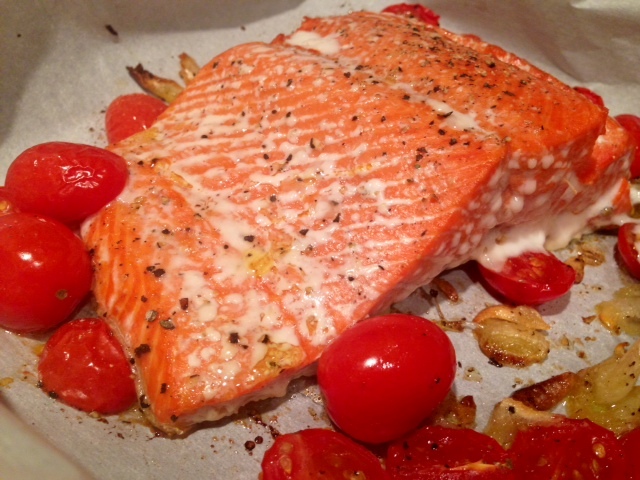 Roast uncovered 15 to 18 minutes depending on how thick your fish is.